This took 3 days to finish. 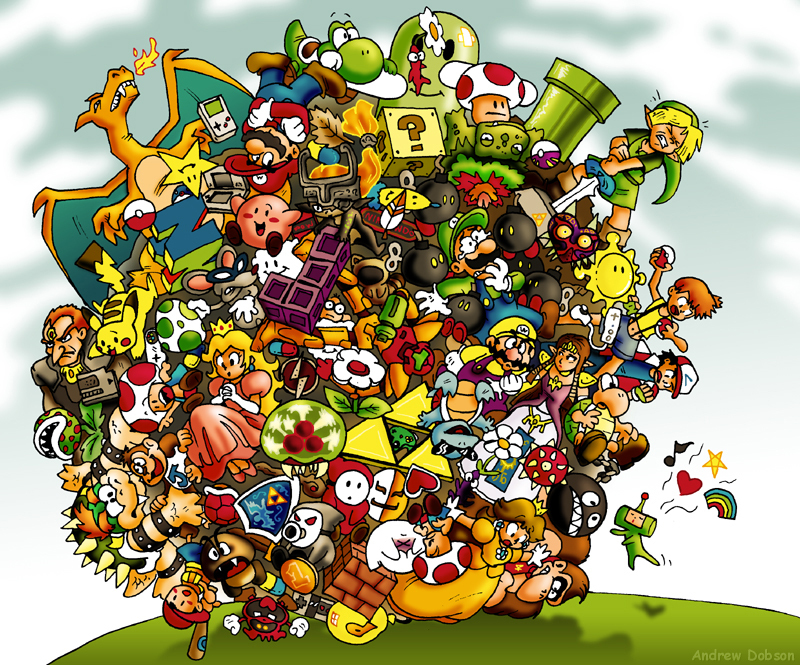 Now i know why not many people are willing to make Katamari Damacy Fan-Art with a Katamari IN the picture!! Omg this picture is so awesome!!1! This is awesome!! (dispite the fact that I have no clue what a katamari is. AWESOMENESS! I know all of this! lol! thats awesome man. i saw you even put the Tanookie Suit near Samus. SMB3 RULZ! poor luigi. he`s scared to death!